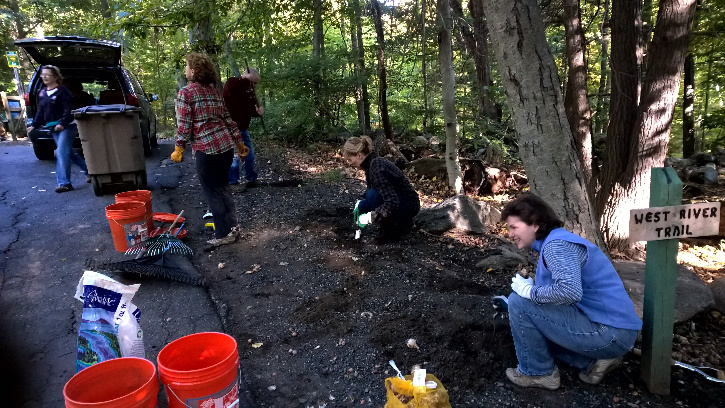 On Thursday, October 15 Friends' group volunteers planted hundreds of daffodil bulbs along the road leading to the main park gate in Stamford. 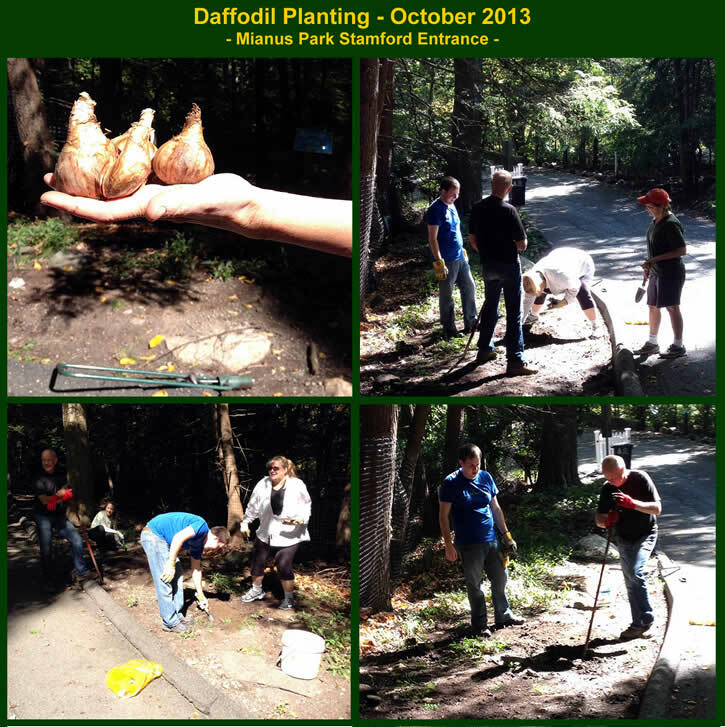 This is the third year when the Friends have planted daffodil bulbs and more will be added in future years. 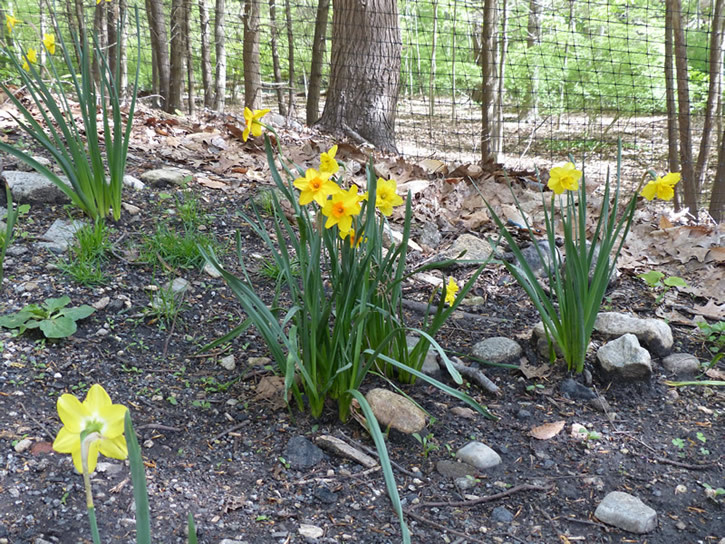 The daffodils we planted last fall are looking beautiful! 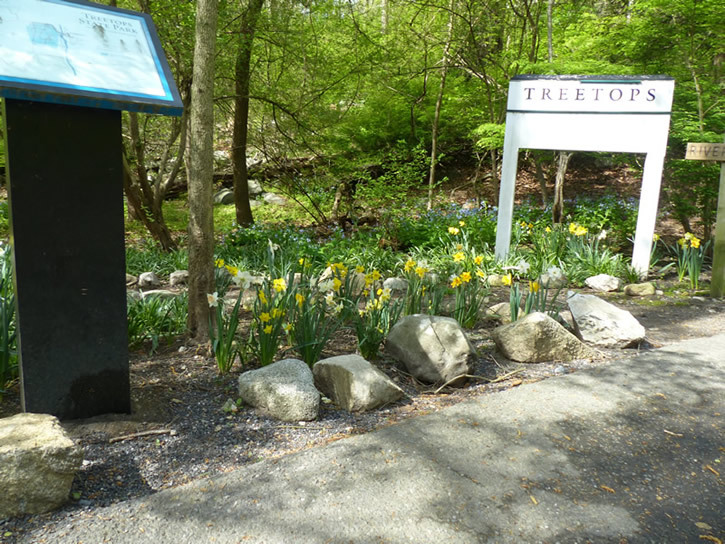 On Wednesday, October 2, 2013 Friends of Mianus River Park planted 200 daffodil bulbs at the entrance to the park. If all goes well, early next spring visitors will be created by a profusion of color. The bulbs were purchased with donations by members. Join today and help us continue to restore the park.